Oftentimes, we tend to put all of our energy into designing the perfect home but forget to pay any attention to the landscaping of our yards. 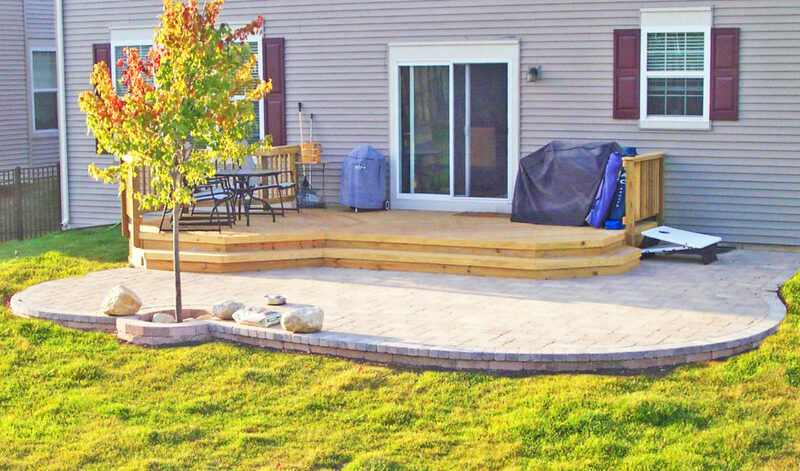 Many people may underestimate the power and benefits of a yard that has been designed to perfection. In fact, garden landscaping can do a lot more than just make a yard look prettier. There are many reasons why you should focus your attention on your yard once your home has been designed and finished to your liking. Although it may be surprising, there are actually many benefits provided by garden landscaping in Clacton on Sea. While an added aesthetic appeal is, of course, the biggest benefit, there are also several associated benefits that can improve the quality of your home in areas such as its efficiency and value. To start, adding the art of landscaping to your yard can significantly increase the value of your home, which is great if you ever decide to sell. With that said, a poorly landscaped yard would significantly decrease the value of a property as well. Properly landscaped yards also provide many environmental benefits. Because they help direct the flow of water, your yard is at a lower risk of flooding or pooling water into a lake at the middle of it. On top of that, garden landscaping can also help increase the efficiency of your home by providing strategically placed trees for shade, shrubs for breeze direction, and open areas to let snow accumulate. Paths and walkways placed in your garden will also keep mud and dirt from being tracked into your home, which will cut down on the need for extra cleaning. Regardless of how large you plan on making your garden landscaping project, there a couple of things you should keep in mind while preparing to get things started. The most important thing to remember is the natural design of your yard. Some yards simply aren’t made for certain designs or types of plants. If your yard is particularly shady or doesn’t get much direct sunlight, there are some plants that simply won’t thrive in that type of environment. You should also consider the purpose of your landscaped yard. Even if a yard looks great after being landscaped, it will have been worthless if it isn’t functional according to your actual needs. For example, a yard that will be used by children and pets might be designed very differently than a yard built just for adults. If you plan on having people over frequently as well, you would probably want to focus more on open areas to sit instead of more areas for flowers and other plants.